It's important to have an idea of how much and what kind of lumber you need before you head out to the lumberyard. Gain confidence in your ability to track down the right materials for your next remodeling project with this helpful tutorial. Once you’ve managed to secure the necessary approvals for your renovation or construction project, it’s time for the next hurdle: purchasing materials. Whether you’re building a treehouse or putting in a new walk-in closet, chances are you’re going to be looking for what carpenters and contractors call dimensional lumber, or framing lumber. 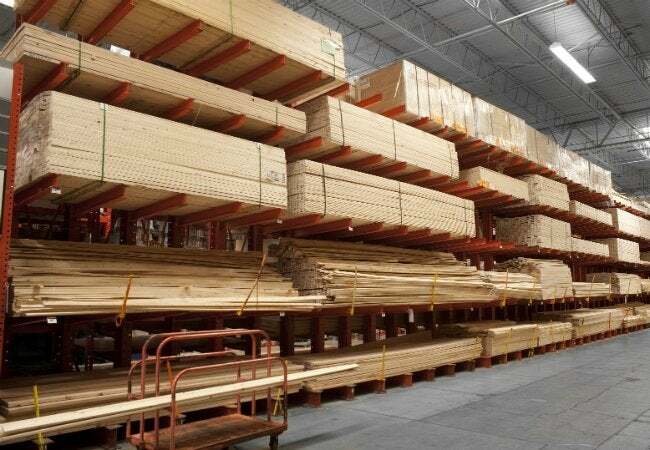 But if you’ve ever walked around a lumberyard or browsed the building supply aisles at your local home center, you know that the experience can be a bit overwhelming. It can be daunting to confront aisles and aisles of floor-to-ceiling racks, each loaded with a confusing array of lumber. For the uninitiated or merely occasional DIYer, buying lumber can be an intimidating task. Fortunately, there is a method to this madness. One of the first things to know when shopping for lumber for your project is that there’s a difference between what a board is called—its nominal size—and what it actually measures. For instance, a 2×4 actually measures 1½ inches thick by 3½ inches wide. The discrepancy between a board’s name and its exact measurements has its roots in the way lumber is manufactured. The nominal measurement reflects the approximate size of the fresh lumber before it is dried and planed to meet a consistent profile and dimension. 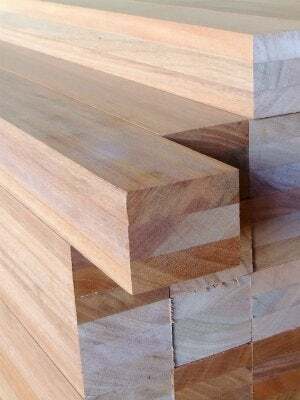 Two-by lumber, which is actually a half inch shorter in each dimension than the name suggests, comes in a variety of widths from 2×2 (which measures 1½ inches × 1½ inches) all the way up to 2×12 (which measures 1½ × 11½ inches). Board lengths are less complicated: Standard lengths start at 6 feet, and they increase in 2-foot increments all the way up to 24 feet for the wider boards. Determining how much lumber you’ll need—also known as a material take-off, or MTO—can be a tedious task. Back before we carried our smartphones to the hardware store, giving us immediate access to project specs and built-in calculators, we’d take the dimensions from our plans and literally count how much lumber we needed. It was all done by hand, and it was a ponderous, time-consuming ordeal, rife with inaccuracies. But don’t fret! Today, the average DIYer has more options. Some larger, more complete lumberyards and home centers can calculate the take-offs for you. Call ahead and ask your lumberyard if they provide this service. If they do, be sure to bring a good drawing with precise measurements—no coffee-stained napkin sketches done over a fast breakfast. If you can provide the folks at the lumberyard with accurate information, they may be able to create a concise take-off for your project, load their delivery truck, and transport everything to the job site. If this route doesn’t pan out though, home remodeling enthusiasts and contractors alike also have access to a bevy of take-off software that can help calculate needs for large projects. PrebuiltML, Active Takeoff, and STACK are just three hugely popular, easy-to-use programs that can quickly and accurately produce a spot-on, organized materials list and free you from having to calculate actual dimensions from a scaled drawing. Armed with an understanding of lumber sizes and aware of the quantity of wood your project requires, you’re ready to buy the correct amount—but can you pick out the right stuff? How can you tell if the lumber you’re choosing is the best for your project? It’s easy—all the information you’ll need is stamped right on the board. Each board is marked with a stamp that identifies the lumber grade. 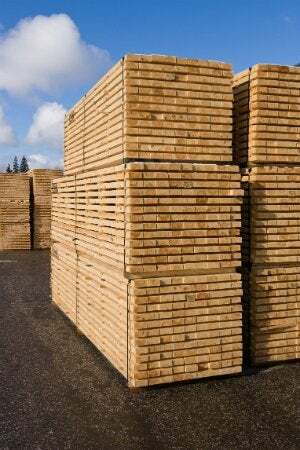 Lumber graded “Select Structural” is rare and very expensive, used most often in construction where you want the structural elements to be visible, as they are in lodge-style or timber-framed buildings. More common grades of lumber are identified numerically from 1 through 3, according to the wood’s imperfections (like knots) and how they affect the lumber’s strength. Grade 1 will have the fewest imperfections. The stamp will also identify the species of wood as well as the wood’s moisture content (MC). S-GRN means that more than 19 percent of the wood’s total weight is water, while S-DRY or KD has a moisture content of less than 19 percent, and MC15 has a moisture content of 15 percent or less. The higher the MC, the more likely the board is to shrink and warp as it dries out (yes, even when nailed in place). All the same, these less expensive, higher-MC boards are ideal for temporarily bracing or shoring up a structure that’s under construction. As the old saying goes, “a little knowledge can be a dangerous thing.” If you’re at all uncertain, ask a professional! But now that you’re acquainted with the basics, at the very least you’ll be better equipped to work with an in-store expert to nail down exactly what you need.